At Ladybug Florist, we’ve been providing top quality products and friendly, expert service since 1997. In that time, we’ve gained a loyal clientele and earned a reputation for outstanding style and excellent value. 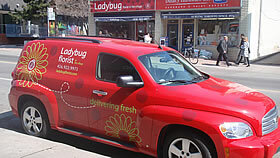 Place your order today and find out why so many Torontonians rely on Ladybug Florist. At Ladybug, we receive shipments of fresh flowers from our suppliers 6 days a week. Our cooler is stocked exclusively with premium quality goods from local farms and growers in Europe and South America. And before any of those blooms go in our coolers, we prepare them using the best professional techniques. The result? 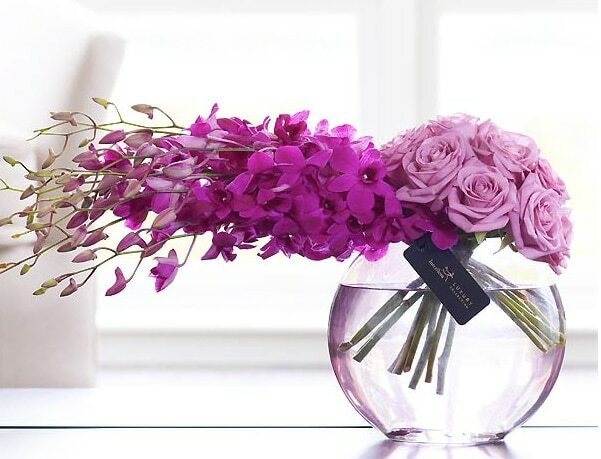 Flowers that look even better and last even longer. We’re here when you need us, 7 days a week. Our Church Street location is also open till 6 PM Monday through Saturday, so you can drop in and pick up your flowers on your way home from work, or your way out for the evening. We are closed on major holidays such as Christmas Day. At Ladybug, we know that the way your flowers are delivered can have a major impact on their appearance and longevity. That’s why, unlike most Toronto florists, we employ our own experienced drivers and operate our own heated, air-conditioned vans. We deliver throughout the greater Toronto area 7 days a week. Deliveries are available during our business hours at a charge of $12.95 in Toronto (area code 416) or $19.95 in the surrounding region (area code 905). Deliveries are typically made between 11 AM and 6 PM. When our volume of business permits, we can schedule deliveries for particular times of day at a modest additional charge. 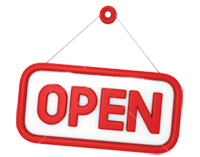 If you require a specific delivery time, please call our shop directly. No job is too big or too small for the Ladybug team. Whether you’re looking for a single, perfect rose or a hundred elaborate table centrepieces, we can help. Weddings and corporate events of all sizes are two of our specialties. We can create custom designs to suit the theme of your event, provide vases and other key pieces on either a purchase or a rental basis, ensure timely delivery and, if necessary, look after both on-site installation and post-event removal. Ladybug Florist in the Village is located at the corner of Church and Wellesley in Toronto’s downtown core, close to the financial district, the theatre district, all downtown hospitals, dozens of major hotels, hundreds of restaurants and much more. We stand behind everything we sell, and we’re dedicated to ensuring the satisfaction of every Ladybug customer. If we make a mistake, a rare event, but it has been known to happen, we’ll bend over backwards to put it right. 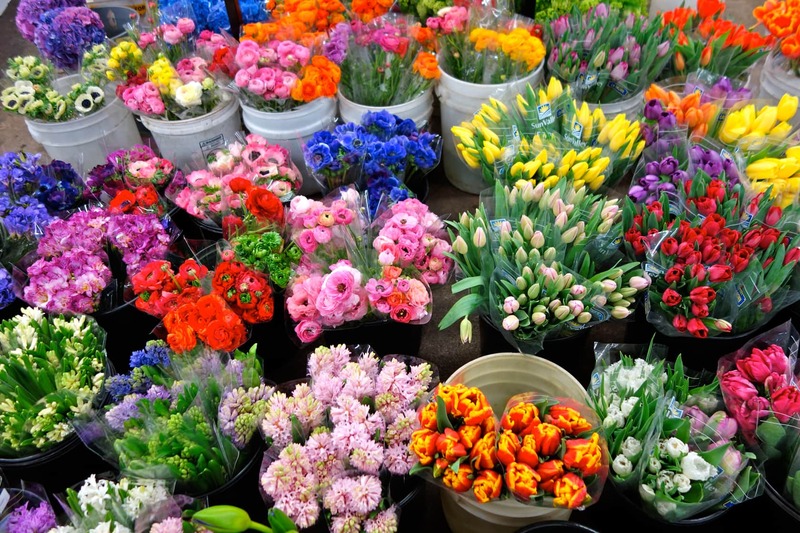 Ladybug Florist in the Village is a member of 2 of the world’s largest florist networks. If you need to send flowers, a plant or a gift basket to Los Angeles, London or Kuala Lumpur, we can make it happen for you quickly and at a fair price. You can communicate with us at Ladybug via virtually every medium known to mankind. Call us on the phone. Fax us. Email us. Dial our 800 number if you’re out of town. Order from our web site. Or, if you prefer the personal touch, we’re always happy to see you at the store!